We are fortunate to have not only an incredibly rich and diverse local history, but also a friend and neighbour who is a renown expert. 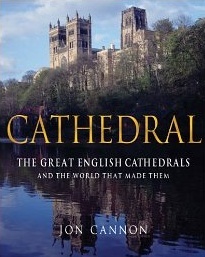 Jon Cannon is an architectural historian, the author of Cathedral, and the presenter of the BBC documentary based on the same book. He also conducts guided tours of our World Heritage Sites, at Avebury and Stonehenge. For more details, please telephone Jon direct on +44 (0)1672 841511.